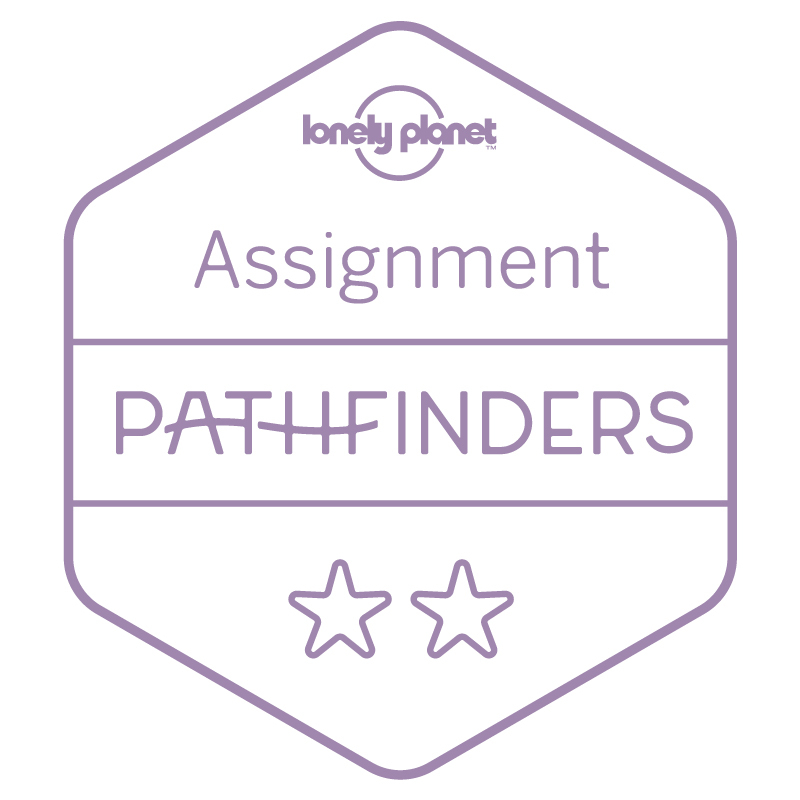 Planning your 2019 travels? 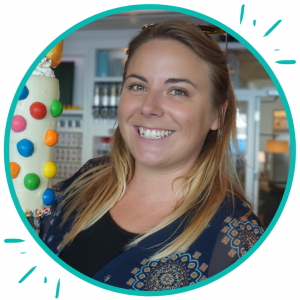 I’ve rounded up some of the best festivals around the world, to help you figure out where to go and when! From well-known cultural events, to quirky parties you may have never heard of, these are some of the most interesting world festivals coming up this year. Is there anything you’d add to the list? Don’t forget to leave a comment at the bottom of this post! Chinese New Year is celebrated at festivals around the world! Beijing is one of the most iconic places to witness the Lunar New Year – with the Forbidden City decked in lights, and parades and performances across the city. However, last year’s fireworks ban may have taken some of the shine off the festivities. 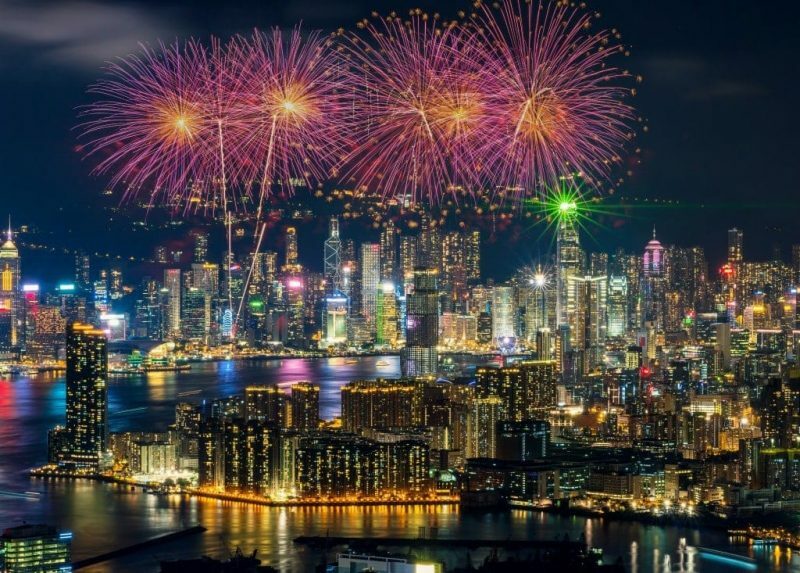 Hong Kong has one of the most impressive fireworks displays over Victoria Harbour, alongside flower festivals, horse races, and the impressive Night Parade. If you can’t make it to China for New Year, many cities around the world host festivals to celebrate. China Town in London, the 13th arrondissement in Paris, New York City, Sydney, San Francisco, and many others have huge Chinese New Year parades! Tet is one of the biggest festivals in Vietnam and one of the best Chinese New Year Festivals in the world. One of the most iconic world festivals has to be the Taiwan Lantern Festival, hosted in the district of Pingxi. 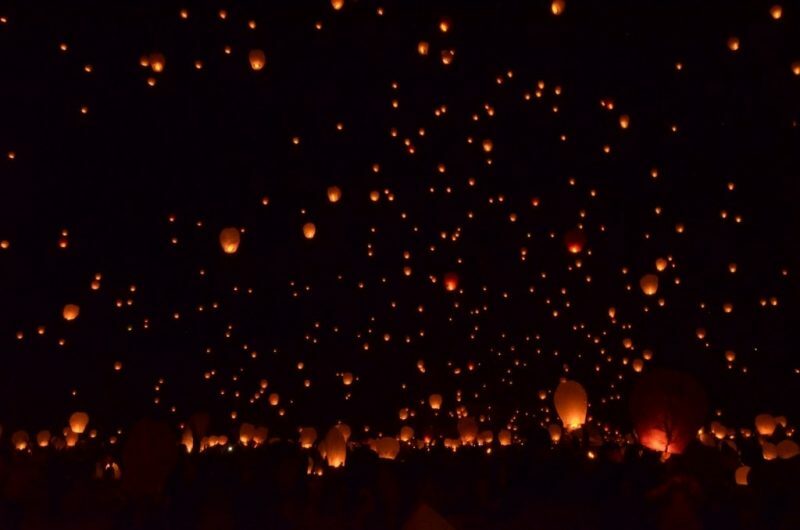 Taking place on the last day of the Lunar New Year, the festival sees thousands of visitors flocking to the village to write their wishes on paper lanterns and release them into the sky. The tradition comes from lanterns which were once used as signals to show that villages were safe. Today, they carry wishes and hopes for the new year to people’s ancestors. Rio Carnival is probably one of the most famous festivals around the world – and with very good reason. It’s the biggest carnival in the world, with over two million people a day on the streets. 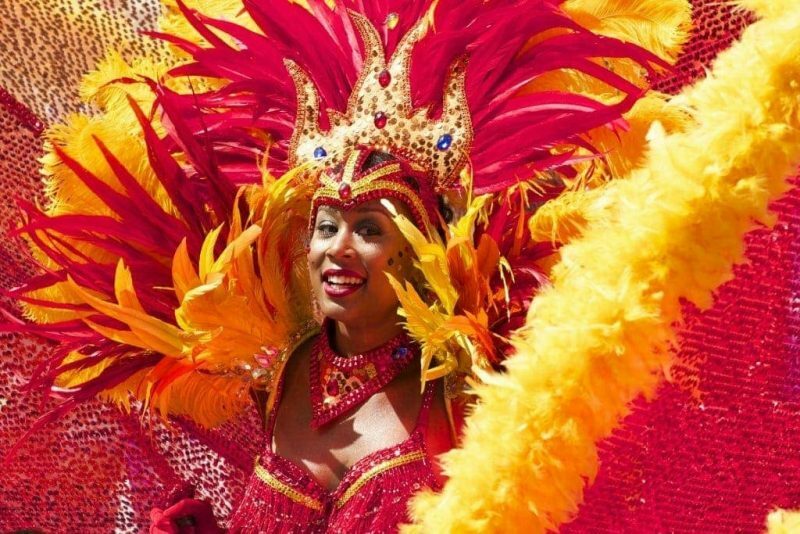 For a week leading up to Lent, Rio erupts with colourful parades, parties, and open-air performances. And every neighbourhood in the city hosting its own street party – more than 300 of them! Carnival is a big deal in a lot of countries. Barranquilla Carnival in Colombia is often called the second biggest after Rio, with several enormous processions and huge street parties. Elsewhere in Latin America, carnival is also a big deal in Uruguay’s Montevideo. In Europe, the Italy’s Venice Carnival deserves a spot on every festival traveller’s wish-list. Mardi Gras has the same origins as Carnival and takes place on the Tuesday before the first day of Lent (Ash Wednesday). The final day of revelry is Mardi Gras. It means Fat Tuesday in French, and is traditionally the day with the most extreme celebrations. And no where on earth celebrates that revelry like New Orleans! 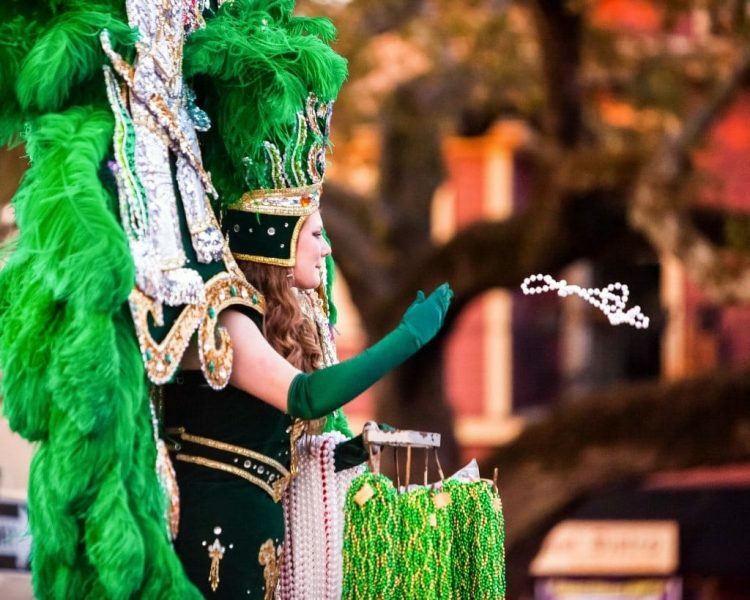 Parades take over the city, and one of the most popular traditions is for the costumed performers to throw out beads, doubloons, or other trinkets, known as “throws”. You may even see a few people flash to get their hands on some of these plastic treasures! Traditionally, this is the day to get “naughty” behaviour out of your system before going into Lent. So expect to see plenty of excess and drunkenness. Thanks to its rich heritage and blend of religious cultures, India is home to countless gorgeous festivals. 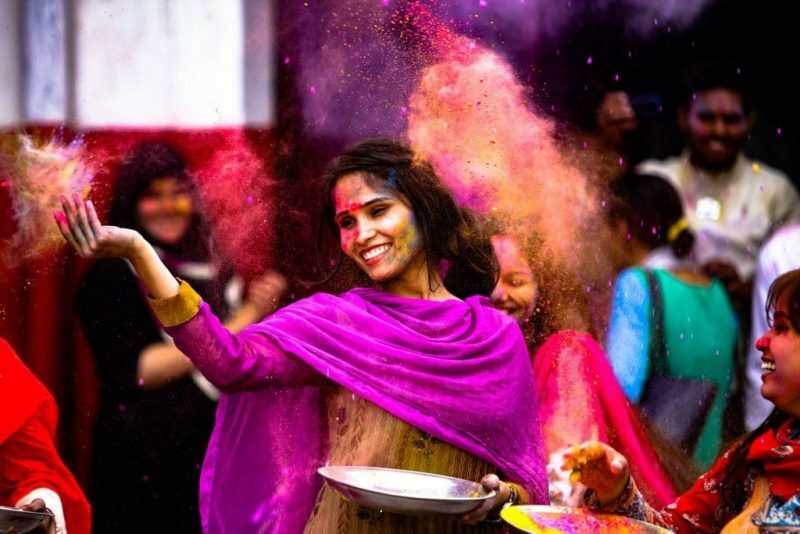 One of the most popular – and beautiful – is Holi. 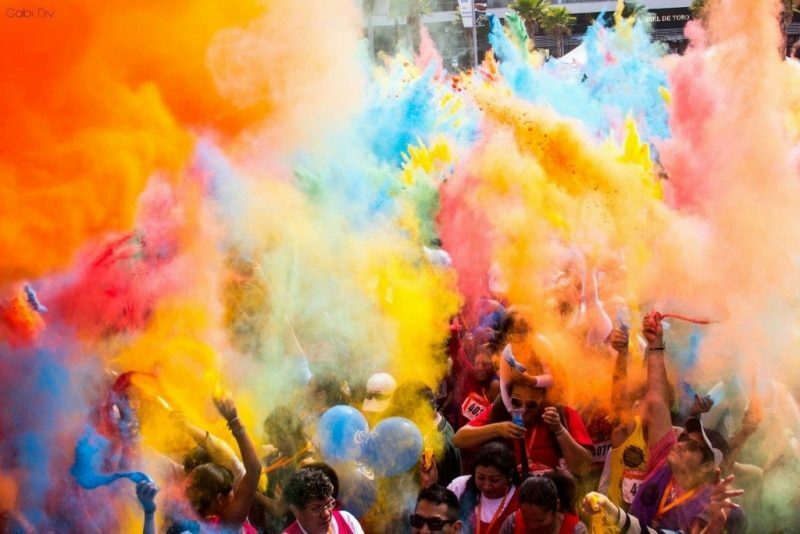 Otherwise known as the Festival of Colour, one of the main parts of Holi is the throwing of coloured paint. Holi is Hindu a celebration of good over evil, and of the arrival of spring. The colour throwing comes from the story of Krishna and Radha, in which the blue-skinned god colours Radha’s face with jets of water to make them equals. Today, it’s a seriously fun festival where the atmosphere is one of overwhelming joy. A must for every festival lover! At the end of March and the beginning of April, Japan’s brief Cherry Blossom Season – known as Sakura Matsuri – sweeps across the country. 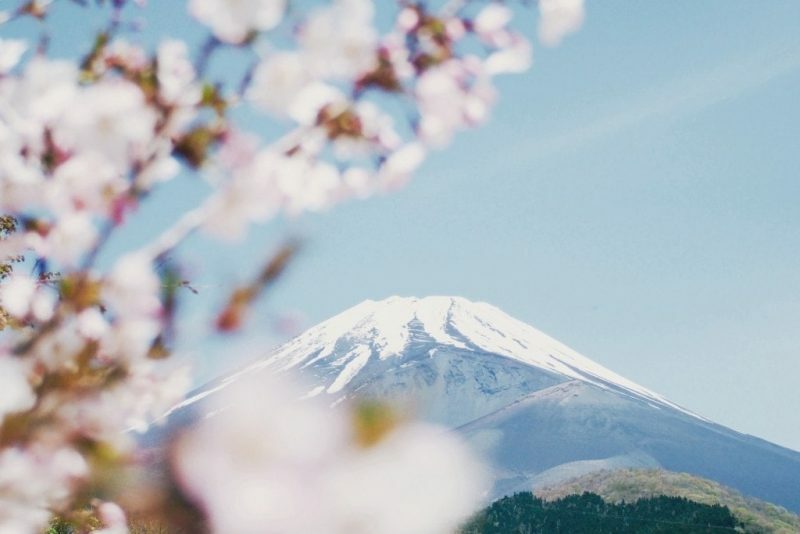 Cherry blossoms are the national flower of Japan, and Buddhist teachings have given the fleeting season a spiritual context of mindfulness and living in the moment. Because nature is unpredictable, be sure to do your research. Keep an eye on the Cherry Blossom Forecasts when booking your trip, and allow time to be flexible. One of the most unique – and fun – world festivals I’ve ever experienced is Songkran in Thailand. This celebration of Thai New Year involves sprinkling and throwing water at one another, to wash away sins and bad luck, and to represent purification. Over time, the festival has evolved into more of a giant water-fight. People take to the streets armed with buckets, water guns, and jet sprays! 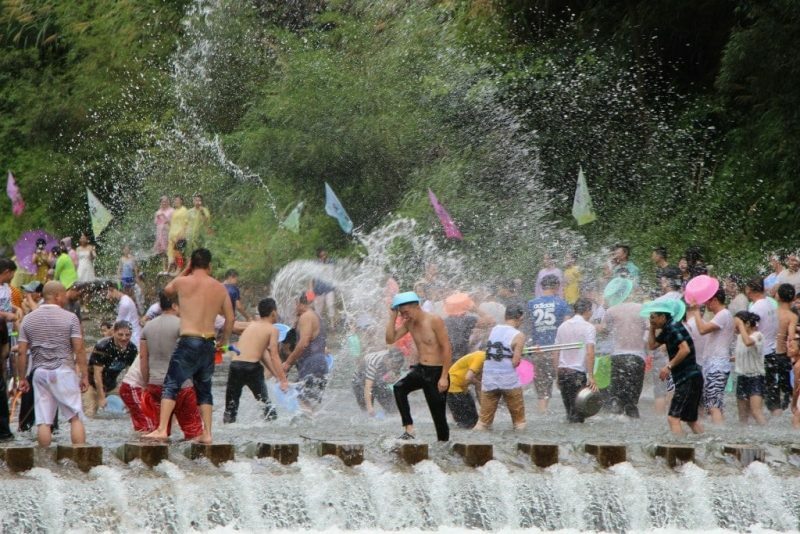 You can still find quieter religious celebrations inside temples, but the Thai people have found the perfect combination of spirituality and fun in their country-wide water fight. Semana Santa is Spanish for Holy Week; the week just before Easter at the end of Lent. 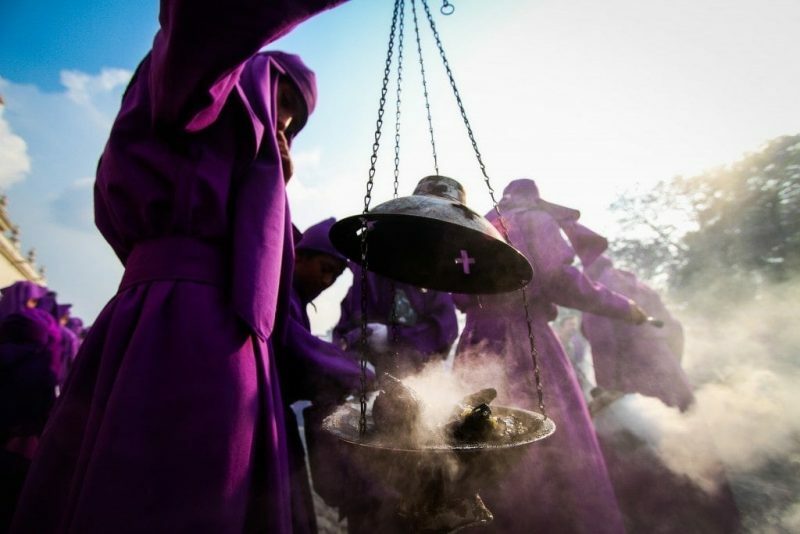 The Spaniards brought the tradition of Semana Santa with them to Guatemala, and 500 years later it’s one of the most important religious festivals in the country. Antigua is home to one of the most impressive Holy Week celebrations in the world, with a fascinating mix of Spanish traditions and indigenous cultural beliefs, making it completely unique. The streets and interiors of churches are decorated with intricately designed alfombras. These are “carpets made from coloured sawdust, and they create a colourful backdrop for the numerous processions and lavish floats that fill the city. For one of the most unique festivals around the world, head to Mongolia for the lesser-known, but totally fascinating, Naadam Festival. 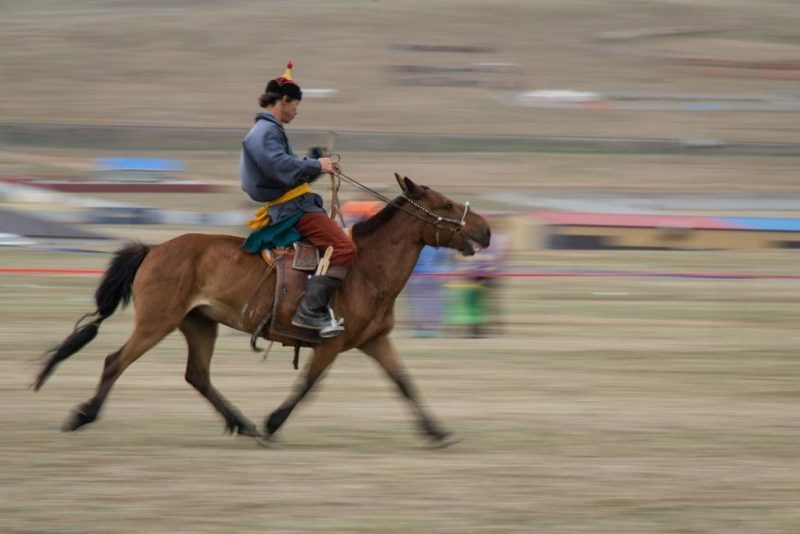 A celebration of the country’s nomadic culture, Naadam focuses on three main sports: archery, horse racing, and wrestling. Men and women compete to show off their prowess at sports and skills that are deeply rooted in Mongolian culture and history. But the festival also combines those sports with arts and culture, and the games are punctuated by singing and dancing performances. The famous Edinurgh Festival Fringe was created to run alongside the more high-brow Edinurgh International Festival, on it’s “fringe”. Both run for most of August every year, taking over the entire city in a celebration of the arts. Theatres host shows from around the world, the streets fill with performers, venues pop up in the most unlikely of places, and the whole city is buzzing with creativity and fun. While the International Festival focuses on theatre, opera, and dance, the Fringe is more “anything goes”. Comedy, music, circus, cabaret, musicals, spoken word poets, theatre… pretty much everything you could think of! It’s not all about the Fringe. 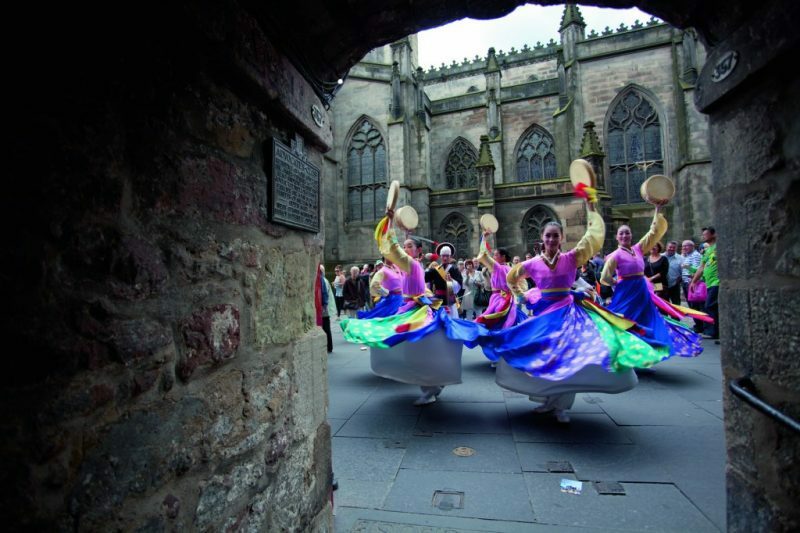 Over the summer months, Edinburgh plays host to a bunch of fab festivals and events. 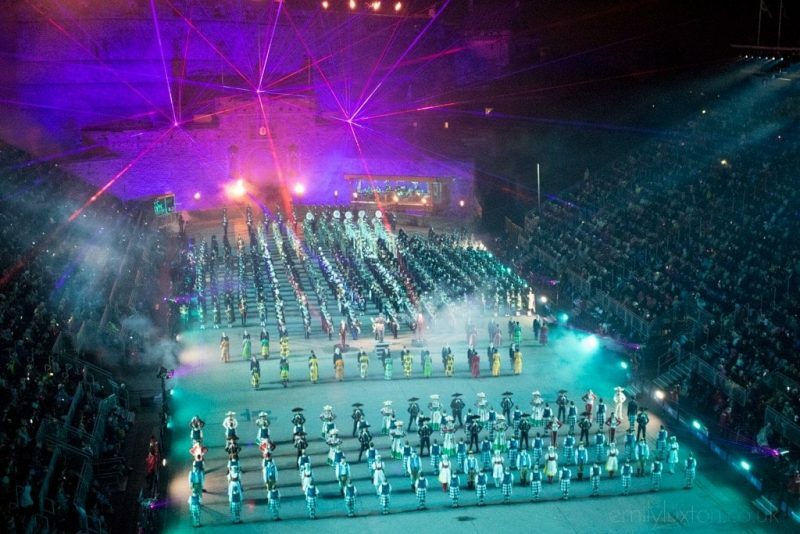 But the biggest spectacle has to be the Edinburgh Royal Military Tattoo. It was one of my highlights of last year and a must for every travel festival wish list. 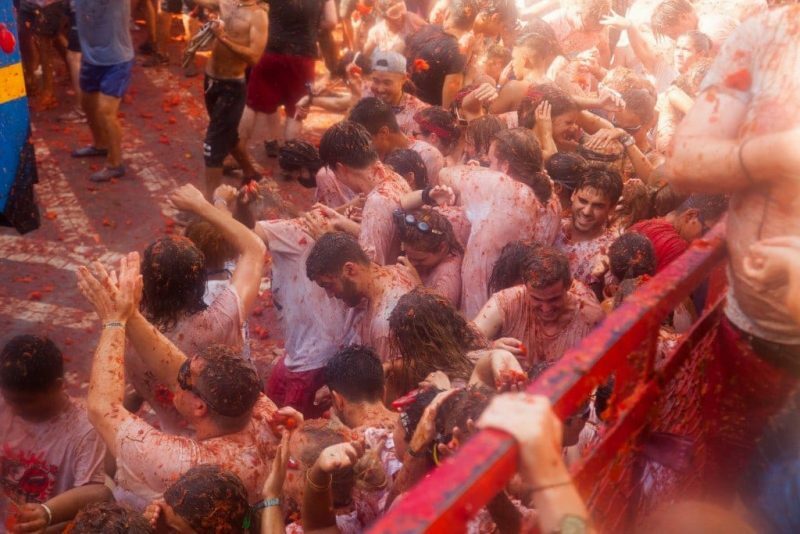 Definitely one of the craziest festivals in the world, La Tomatina takes place every year in the town of Buñol in Spain. Essentially, all the local residents get together to throw tomatoes at each other in a gigantic food fight. The festival is held on the last Wednesday in August, and follows a week of festivities. It may seem like a massive waste of food, but Buñol buy in over-ripe, poor quality tomatoes especially for the event. Since the tomatoes would be no good for eating, the locals don’t see it as a waste. And the festival looks like serious, messy fun! READ MORE: Check out Vicky Flop Flop’s guide to Tomatina for loads of info and tips. 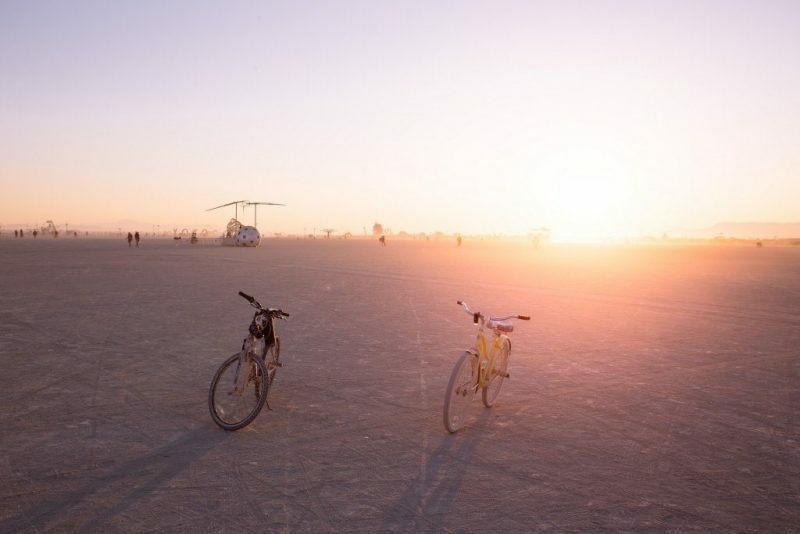 Burning Man is probably one of the most unique festivals around the world. Held every summer in Nevada’s Black Rock Desert, this famous festival attracts travellers from all over the globe. It’s officially an art festival, but Burning Man is much bigger than that! The desert location becomes a temporary city, filled with costumed attendees enjoying complete freedom and creative expression. It’s a kind of “anything goes” atmosphere, dedicated to anti-consumerism and self-expression, and culminating in the burning of a huge effigy of a man. 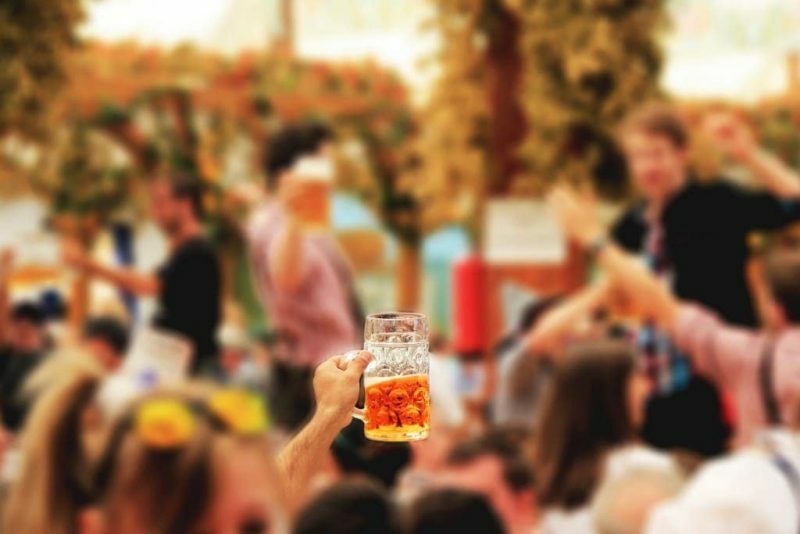 An enormous beer festival, Oktoberfest is now celebrated around the world. But the official festival takes place in Munich, Germany – and it’s all about Bavarian culture and beer. This is one of the most popular world festivals and draws in a huge crowd. More than six million people attend the event every year, making it one of the biggest folk festivals in the world. Alongside beer stalls, you’ll find Bavarian food, parades, music, and a funfair. Definitely a must for any beer lover’s diary! 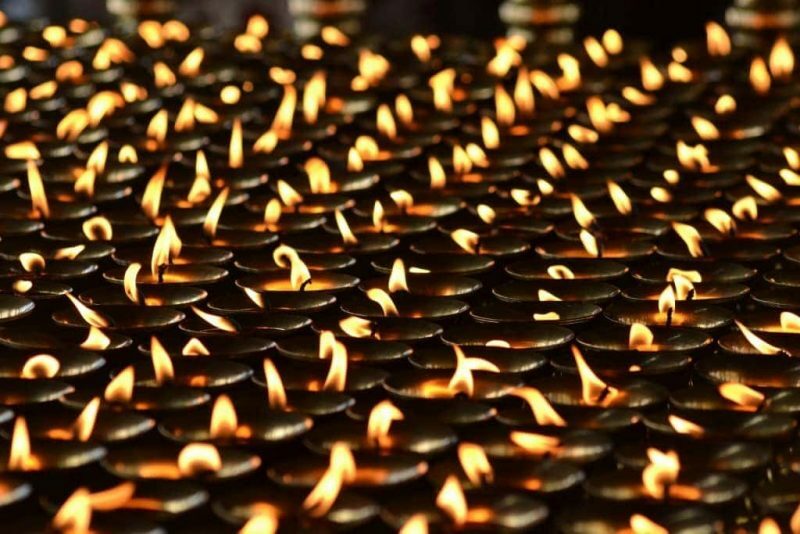 Diwali is the Hindu Festival of Lights, and it’s one of the most popular festivals in Hinduism. Similar to Holi, it’s a celebration over the “victory of light over darkness, good over evil and knowledge over ignorance.”. Hindus around the world celebrate by decorating their homes with oil lamps and candles, and offer puja (prayers) to the goddess Lakshmi. Although India is more famous for Diwali, the celebration is also huge and beautiful in Nepal, where it’s known as Tihar. If you are lucky enough to visit either country in October, try to coincide your visit with this stunning festival. 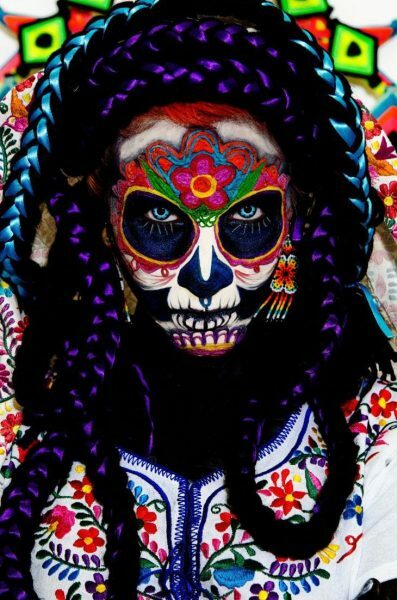 One of my favourite world festivals is the Dia de los Muertos in Latin America, and particularly Mexico. Recently, movies like Spectre and Disney’s Coco have given the festival worldwide fame. But while the colourful costumes and skull face paints are an eye-catching part of Day of the Dead, the festival is about much more than that. It’s a three-day holiday in which families gather together to remember and pray for loved ones who have died. Many visit the cemeteries to make offerings, decorating the graves with marigolds and candles. Some families even hold parties in the cemeteries, and the atmosphere is generally one of joy and celebration rather than sadness. There are a vast amount of traditions and beliefs surrounding this festival, so take the time to really understand the events when you visit. But of course, don’t miss the parades and parties as well! In the oasis town of Douz in the Tunisian Sahara, palm trees outnumber residents twenty five to one! 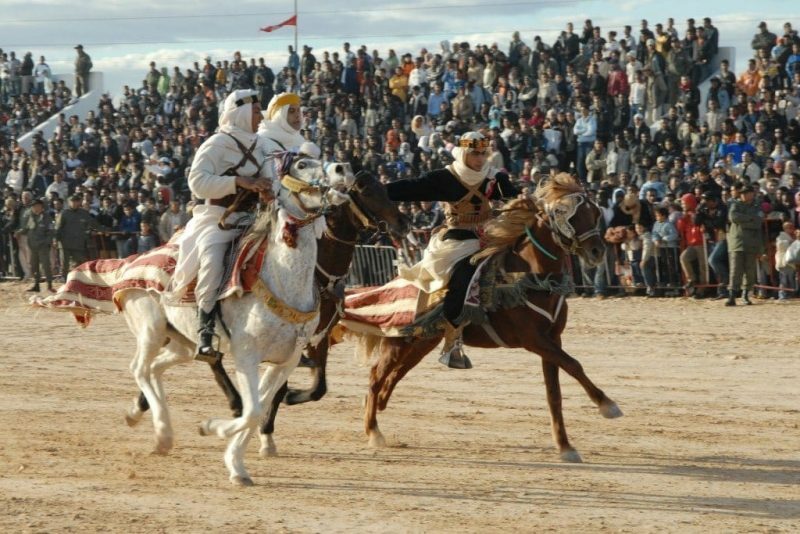 But once a year, the tiny town attracts over 50,000 visitors to the International Festival of the Sahara. Originally a Bedouin marriage market, today this is a fascinating world festival celebrating the culture of the Sahara desert and if Bedouin life. Singing, dancing, feasting, camel racing, and craft fairs spread across the four-day desert festival. The only downside is that the festival dates, which change every year, can be notoriously hard to find – so keep an eye on the official Tunisia tourism website for details. 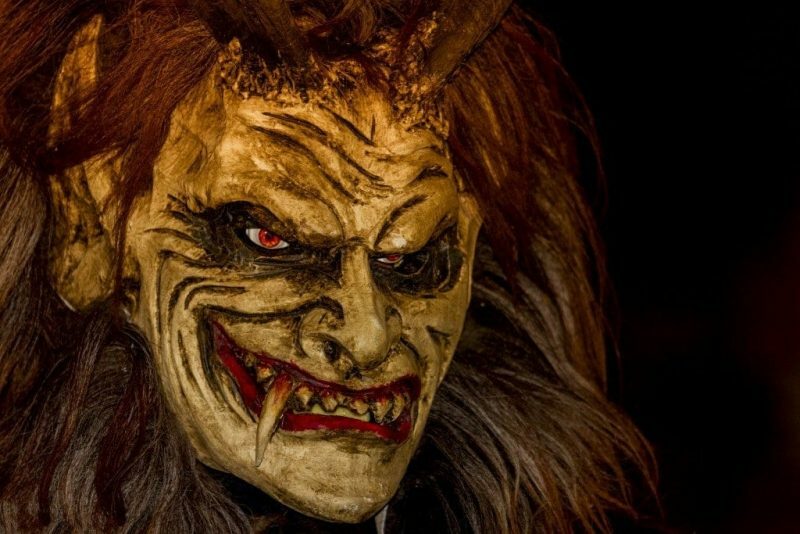 If all the festive celebrations of December get a bit too much for you, head to Germany or Austria in search of the ultimate antithesis to Santa; Krampus. This creepy dude is half-goat, half-demon, and he’s the one who punishes children who have misbehaved. In several countries, including Austria, Hungary, Slovenia, Germany and the Czech Republic, the night before the Feast of St Nicholas is Krampusnacht. Many towns, particularly in Alpine regions, host parades of men dressed as Krampus in an event known as the Krampuslauf (Krampus Run). Rural villages in Austria, such as Hall in Tirol, are among the best places to see a traditional Krampus parade. In Germany, Munich hosts a large event (although it’s not always on the same date, so check before planning your trip). 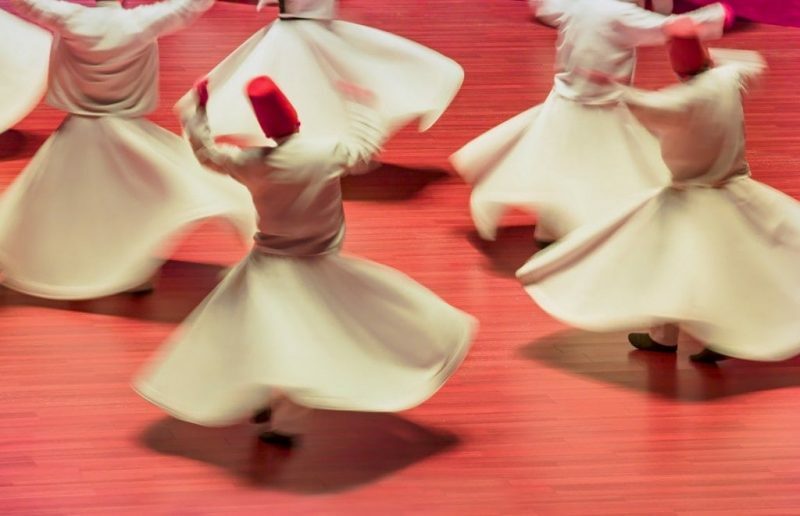 A celebration of dance and culture, the Whirling Dervishes Festival is an important religious and cultural event. The festival is held in Konya, Turkey, every year, but the date varies as it’s based on the Islamic religious calendar. The entire festival is dedicated to Jelaleddin Rumi, a revered Sufi saint and the founder of the Mevlana order of Islam. Thousands of Sufi Muslims descend on the small city of Konya, where Rumi’s tomb is found, for the festival. Dancers in white or coloured skirts perform an intricate dance for a ceremony known as Sema. The twirling dance movements create a stunning effect with the whirling of the skirts, and this festival is spectacular to watch. 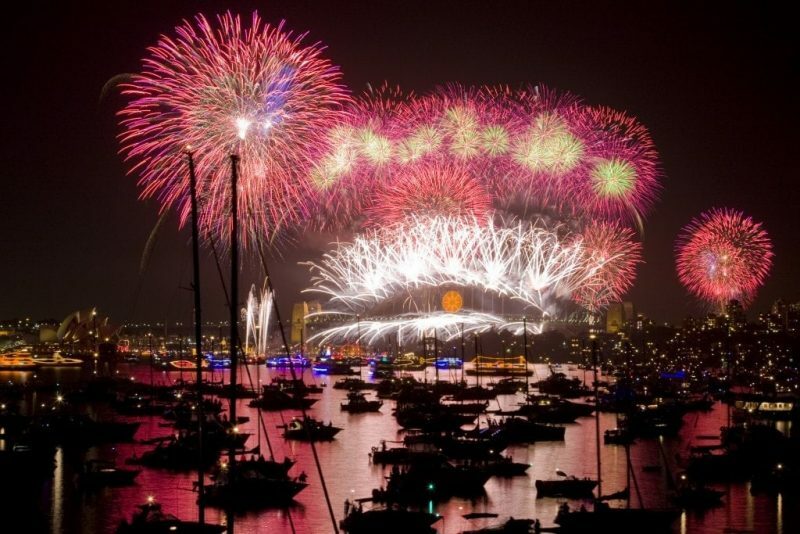 Sydney is the first major international city to greet the new year at midnight, and it offers one of the biggest New Years Eve celebrations in the world. With the iconic Opera House and Harbour Bridge providing a spectacular backdrop, the midnight fireworks are among the most spectacular on the planet and a must for any traveller’s bucket list. Not only is this an exciting place to spend New Years Eve, but it’s also the start of summer in Sydney. So rather than shivering away in the UK, you can spend New Years Day on one of Sydney’s stunning beaches! Are there any epic world festivals that you’d add to this list? Scroll down to leave a comment and share the best cultural festivals in the world. Such an amazing list! We have been wanting to go to carnival in Brazil and hopefully will be planning that soon. Holi in India is also such a fantastic experience. I LOVED Holi in India. There are so many incredible festivals there you could do a post just about India’s events! !